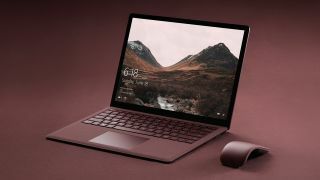 The speed that big updates for Windows 10 roll out – with phased deployment over a number of months – has been notoriously sluggish in the past, but some new figures show that Microsoft has quickened things considerably. The latest statistics from AdDuplex show that on the verge of the next big update (supposedly called the April Update), Microsoft has now delivered the previous upgrade – Fall Creators Update – to 92.1% of Windows 10 systems. That’s the vast majority of Windows 10 PCs, and it’s particularly interesting when you compare it to the speed that the Creators Update (which arrived last spring) rolled out – something like a quarter of Windows 10 users didn’t have this by the time the Fall Creators Update emerged, as Betanews reports. So, judging from the pace of the Fall Creators Update rollout, Microsoft has managed to learn from any errors which slowed the previous upgrade down (and made it something of a painful waiting process for some folks). Of course, the current imminent Windows 10 April Update has rather stalled before it has even begun, thanks to the emergence of an apparently nasty bug, and subsequent efforts to fix this. Although, perhaps Microsoft has learned from previous updates in this respect too. It’s better to take the time to fully hone an update, rather than rushing to release it, and running the risk of having another Anniversary Update debacle (that particular effort was famously hit by numerous bugs). It's now rumored that the April Update will be released in May – which, of course, would be a very good reason not to change the name from Spring Creators Update (the previous alleged moniker).